﻿Melissa﻿ freelances in the Washington D.C. area with orchestral and chamber music appearances including the Kennedy Center and Strathmore Mansion. 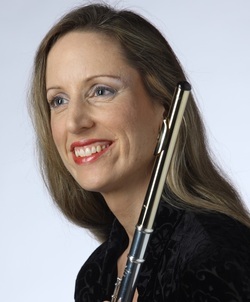 A passionate educator, she serves on the flute faculties at the Washington Adventist University and Howard Community College, co-directs "Flute-a-rama" flute camp, and has been a featured clinician at the Mid-Atlantic Flute Convention. A Maryland native, Melissa holds degrees from Boston University (BMus and MMus) and Southern Methodist University (Artist Certificate). 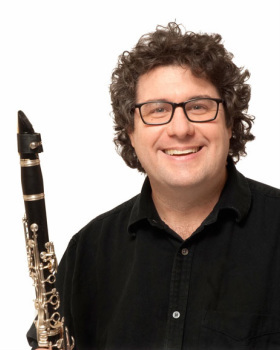 Denis Malloy is a versatile clarinetist, bass clarinetist, saxophonist and composer happily making music ranging from classical, jazz, middle-eastern and cabaret to rock. Denis has performed with the Summer Opera Company in Washington, D.C., the AIMS Symphonie Orchester in Graz Austria, and the Concerto Soloists of Philadelphia. In the non-­classical vein, he has performed with his own jazz quartet for various events at venues including the Library of Congress, the Baltimore Museum of Art and the Peabody Library. As a composer and improviser, he has composed music for several Silent Era films, both as an individual and in collaboration with the band Boister. He has performed live accompaniment to silent film at the Kennedy Center, American Film Institute (Silver Spring), Charles Theatre, Patterson Theater (Baltimore) and the Avalon Theater (Easton, MD) and the Virginia Film Festival among others. He appears on over a dozen CDs, including recordings by Persian Flamenco group The Roya Ensemble, Boister, and his independent project, TreeHouse Quartet, available at CDBaby and iTunes. Denis is a graduate of the Peabody Conservatory of Johns Hopkins University. Robert was a member of The U.S. Army Band, “Pershing’s Own,” for 33 years and retired in 2011. He is Principal Oboist of the Pro Artè Chamber Orchestra and the Pan American Symphony Orchestra. Robert received a Bachelors degree from Louisiana State University and a Masters in music performance from The Catholic University of America. He has performed at leading venues throughout the world including Carnegie Hall and the Bolshoi Opera. 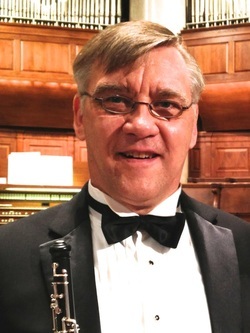 In 2012 he was named the Exclusive Double Reed Representative for the Wicked Edge Knife Sharpening System and has been a guest lecturer at the Curtis Institute, Juilliard, The Metropolitan Opera, the Cleveland Institute of Music, Eastman and Oberlin College. Nancy performs regularly with the National Gallery Orchestra. 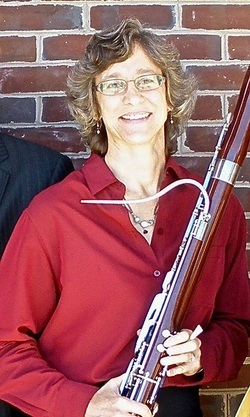 She has been a chamber musician at The Kennedy Center and Strathmore Mansion. She performed with R&B legend Ray Charles at Baltimore’s Artscape. Her recordings include the sound track of the Discovery Channel’s TV documentary “GIs Remember,” and on the 2008 CD of the works of Jonathan Newmark. At the French Embassy, Nancy composed and performed an unaccompanied flute score for “Le Petit Prince.” Twenty-two summers at the Chamber Music and Composers’ Forum of the East (Bennington, Vermont) inspired Nancy to form The Georgetown Quintet. Shane grew up in Louisville, Kentucky where he attended the prestigious Youth Performing Arts School. He then went on to receive a bachelor’s degree from Miami University and a Master’s degree in Music Performance from Indiana University. 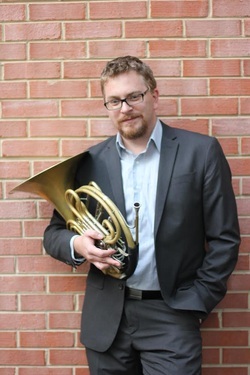 He is principal horn of the Williamsburg Symphony and the conductorless Ars Nova Chamber Orchestra. In addition to playing, Shane is also a very active and passionate teacher of students of all ages. Nice program played very well. I feel extremely deprived to never have played the [Arne] Running “Quodlibet.” What a great piece. So many people in the audience had radiant smiles after hearing the Running. Your engineer should have a great recording for you to hear. We thought the recital was tops. Nancy, You and The Georgetown Quintet sounded great! I really enjoyed the performance. We at St. Matthew want you and your colleagues to know how much we enjoyed a splendid concert last evening. In addition to the enthusiastic way in which the audience reacted to your performance, I have heard many wonderful comments, last night and today, about your excellent playing, the interesting variety of music you chose, and your cordial and thoughtful introductions of the selections. Without any doubt, you received rave reviews! Thank you for a superb evening of music. Thank you also for…the extra effort you made…distributing posters and flyers, and help with newspaper advertising. It all paid off; We filled our sanctuary with more than 105 persons. We hope you will consider returning soon to St. Matthew for another concert. We would really like that.